Dark magic has arrived in Hogsmeade with the debut of the first of the two nights of the “Dark Arts at Hogwarts Castle” Premiere Event. 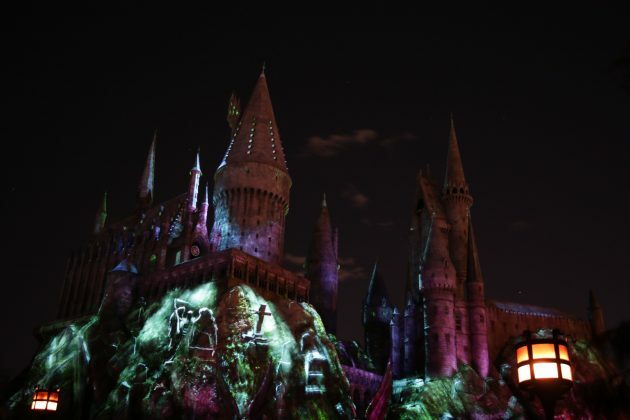 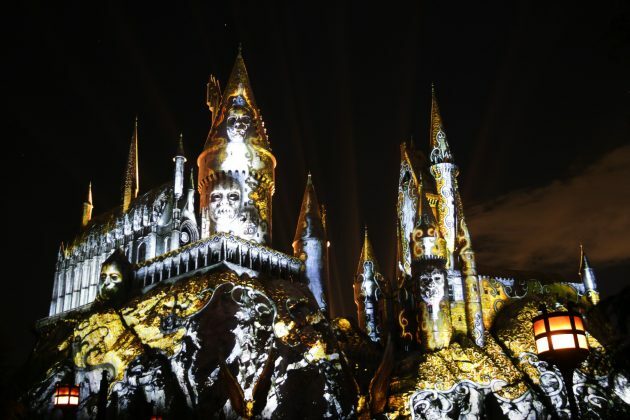 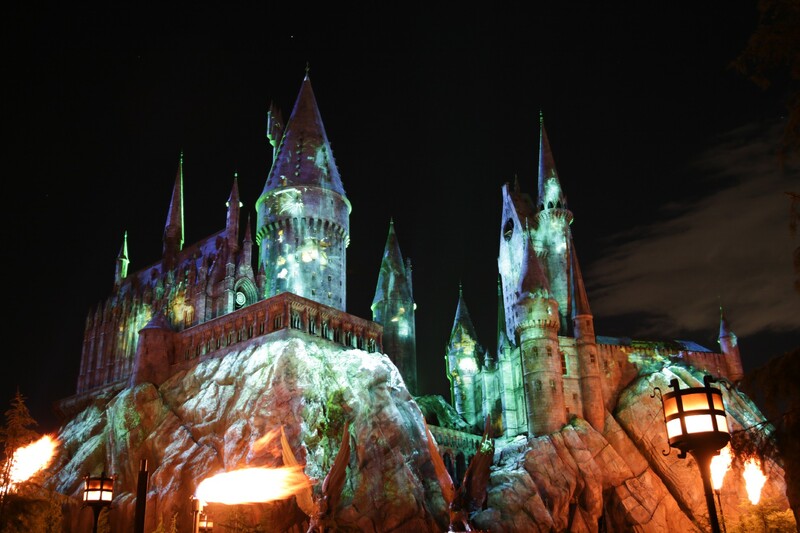 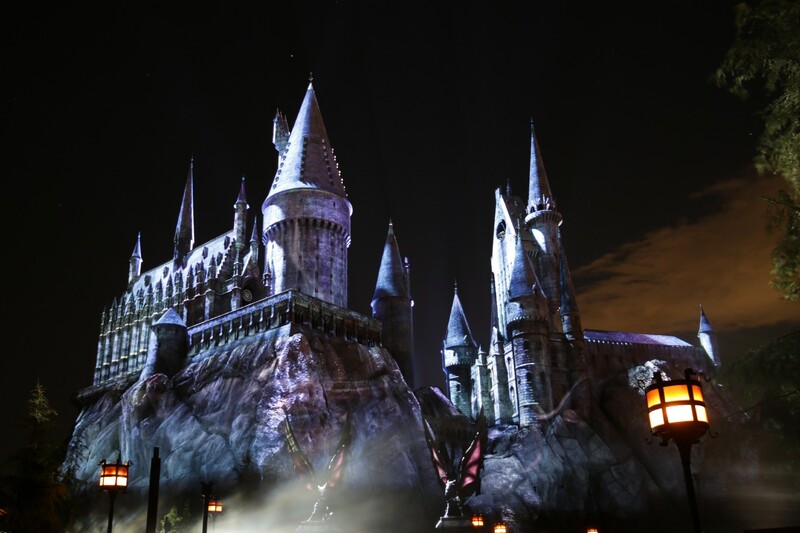 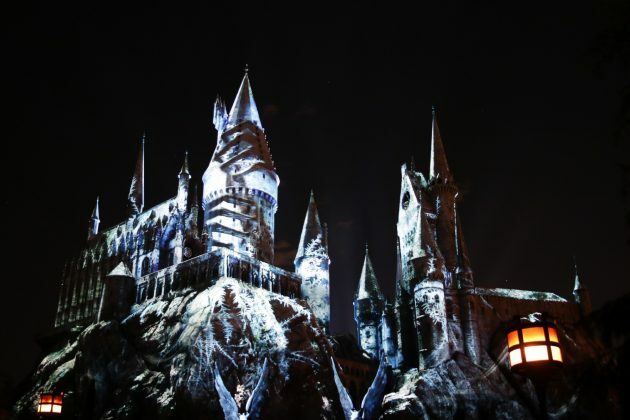 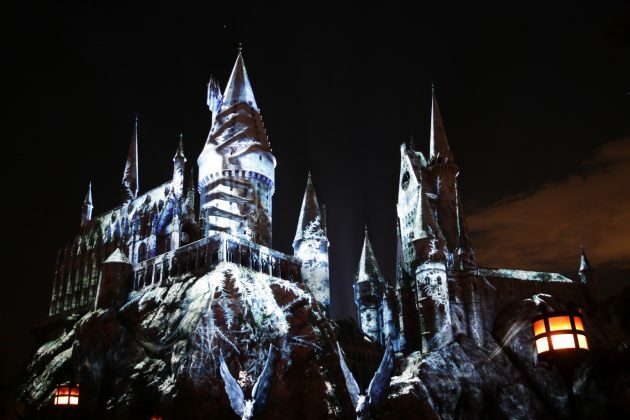 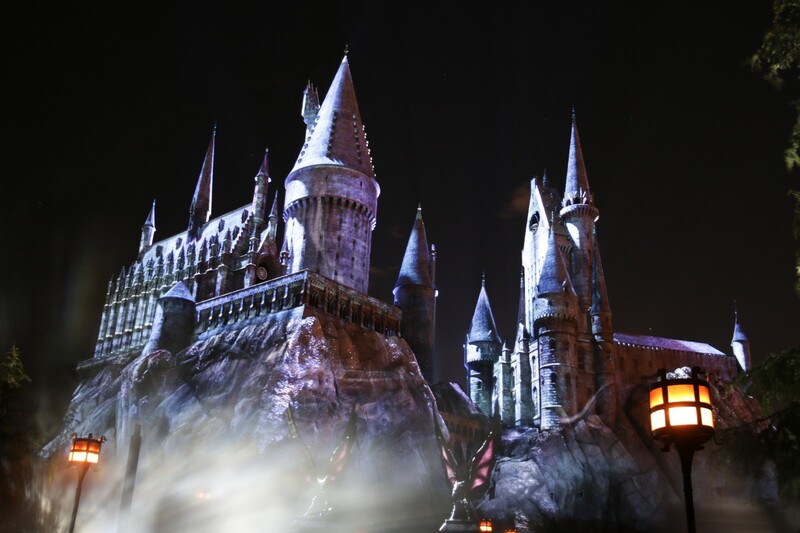 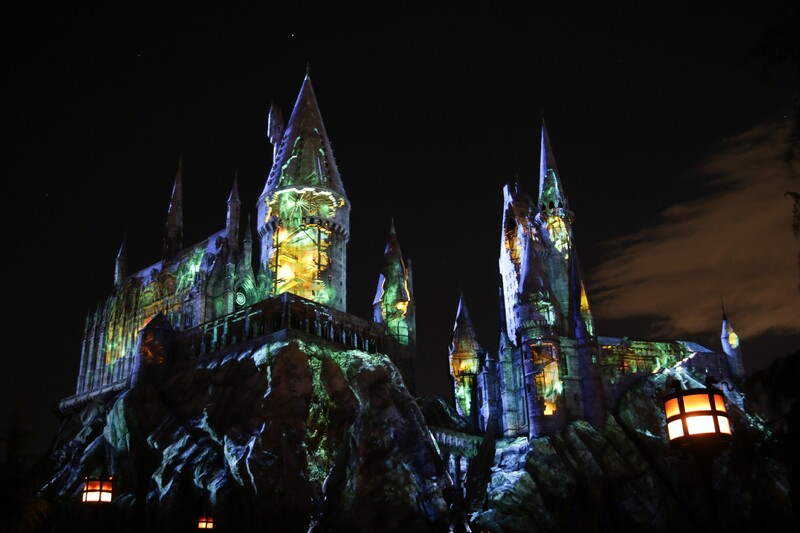 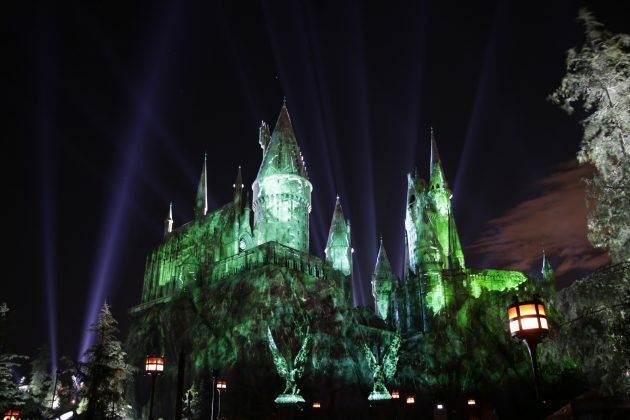 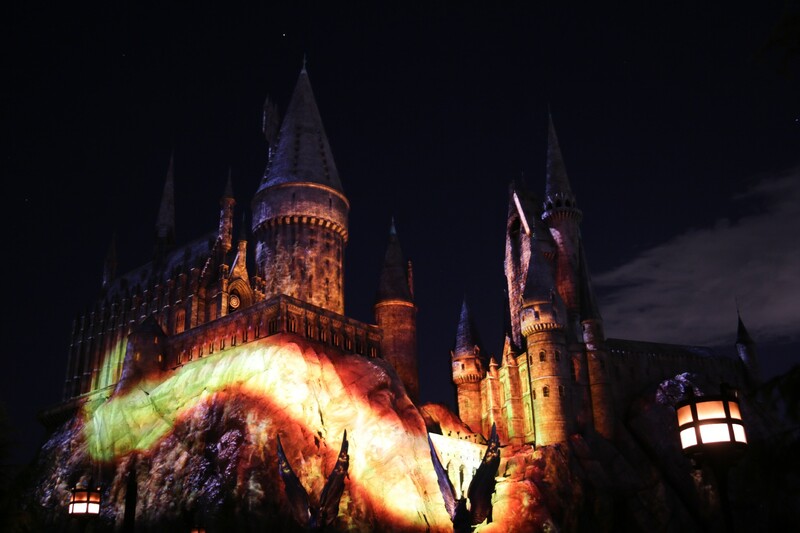 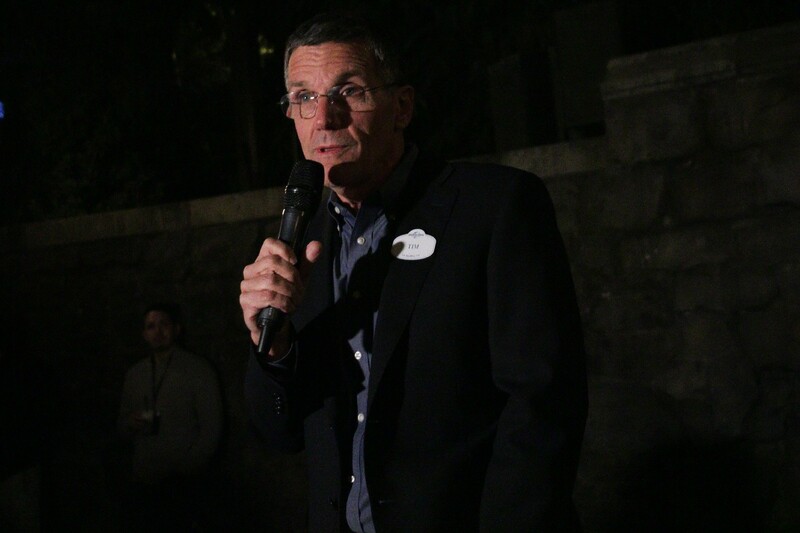 Attendees – who purchased a separate admission for Hogsmeade’s first after-hours event in Hollywood – became the first to view the new Hogwarts Castle projection show focusing on the more sinister aspects of the Wizarding World. 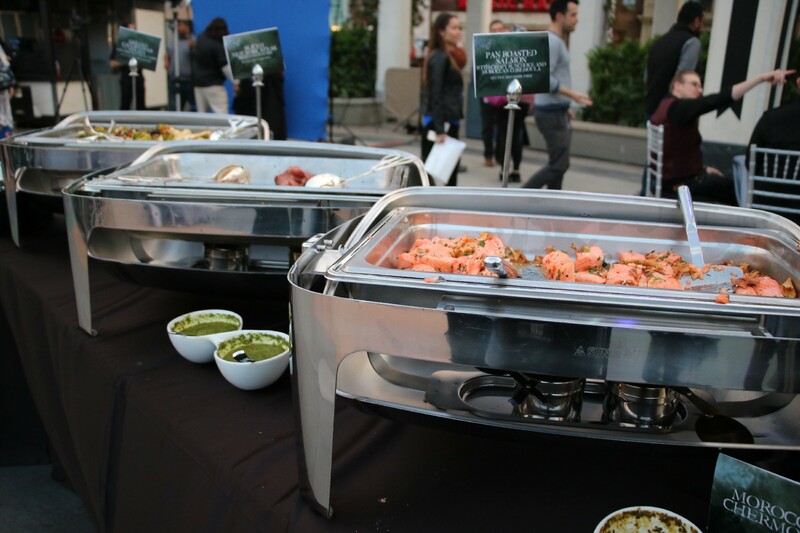 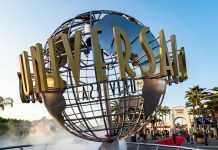 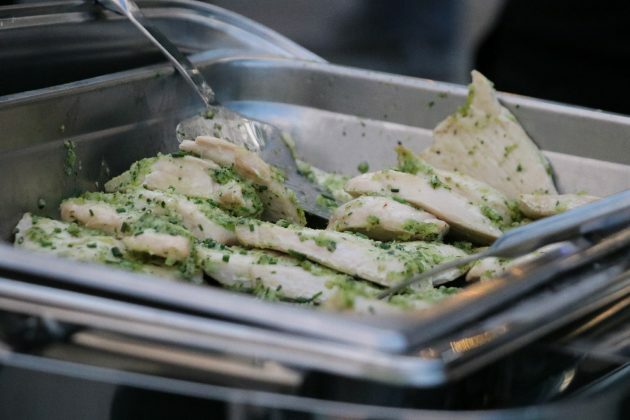 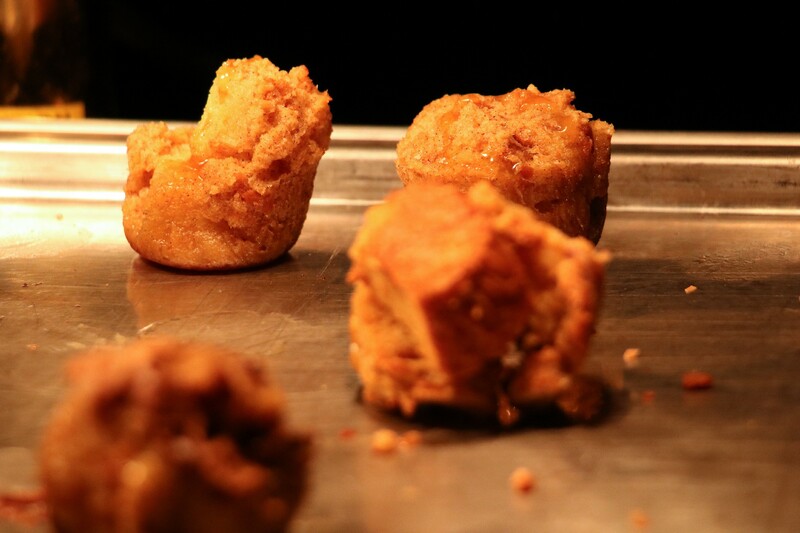 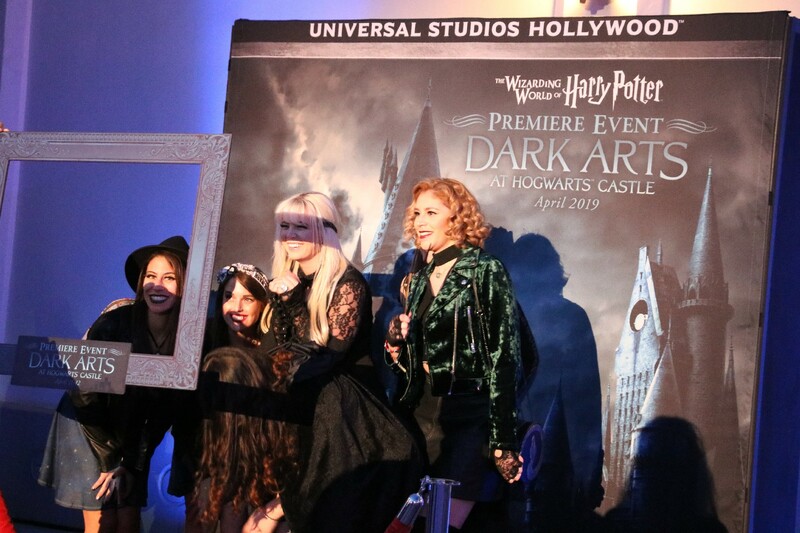 Wizards, witches, and muggles alike were welcomed into the park with a dinnertime feast including – but not limited to – lobster mac n’ cheese bites, sliced New York strip, and pan-roasted salmon. 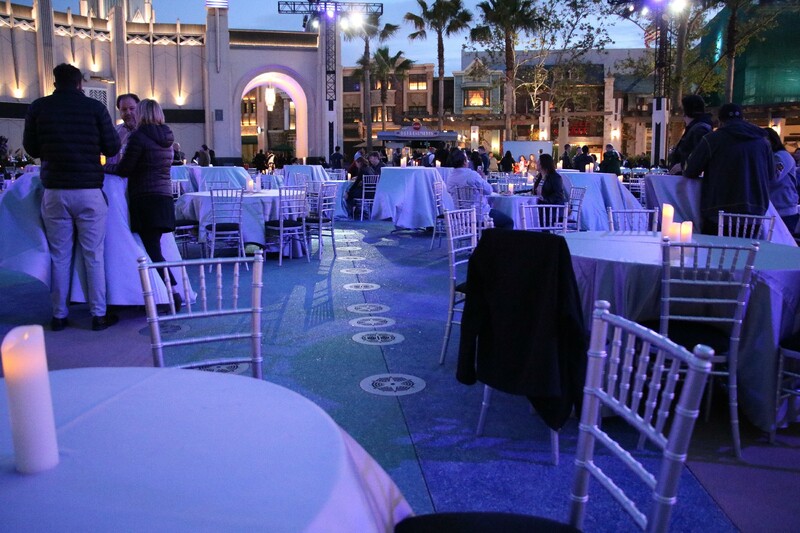 John Williams’s iconic score echoed in the background while guests were welcomed to take advantage of the multiple photo opportunities while enjoying their meals. 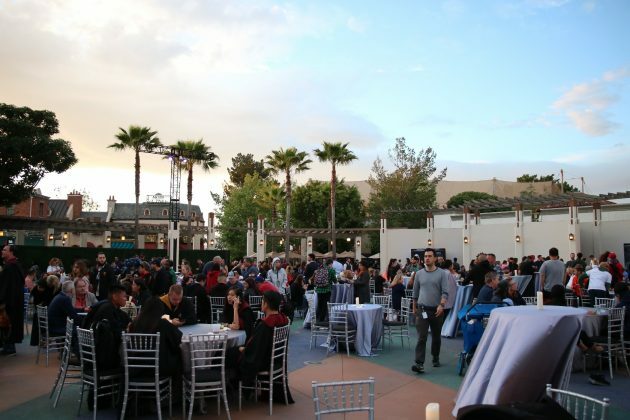 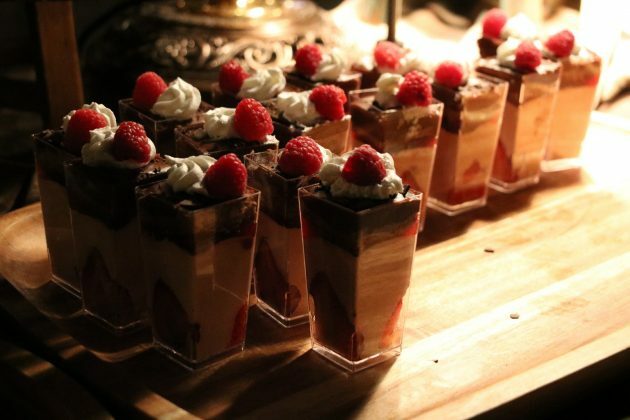 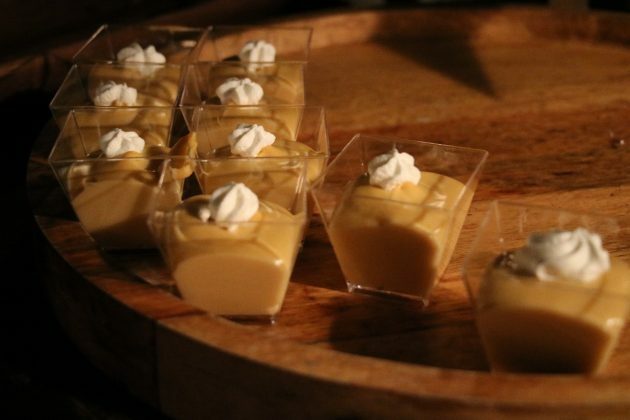 As the first few hours quickly flew by, guests hurried their way into Hogsmeade itself, where dinner was followed by an array of desserts featuring potted cream, sticky toffee pudding, chocolate trifle, and of course, Butterbeer, among other sweets. 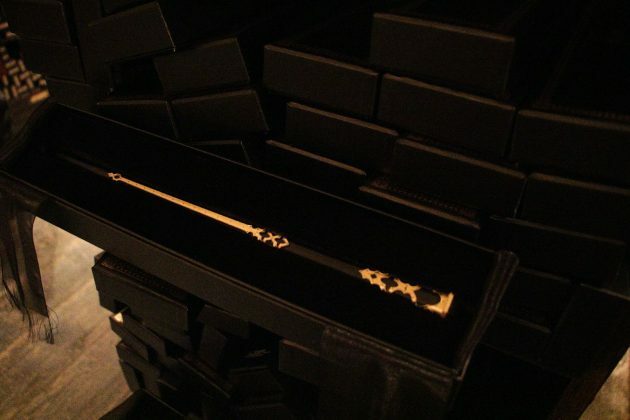 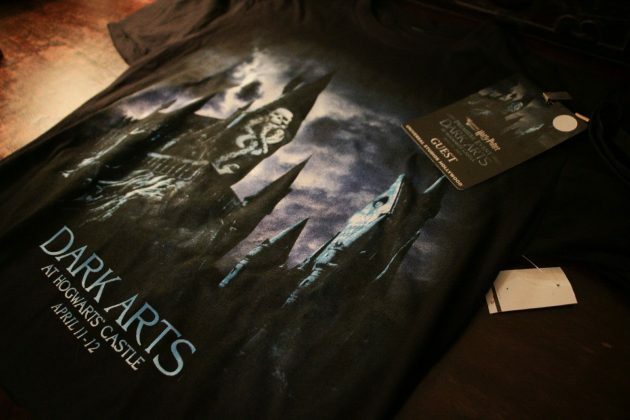 Harry Potter and the Forbidden Journey, Flight of the Hippogriff, and the Ollivanders’ wand show remained in operation along with the rest of Hogsmeade and all of its shops – notedly, merchandise created specifically with the event in mind included the debut of a new wand available for purchase as well as multiple shirts sporting the “Dark Arts at Hogwarts Castle” artwork. While the sky continued to darken and the castle was illuminated with static projections, guests soon began to gather in the viewing area in anticipation of the first showtime of the “Dark Arts at Hogwarts Castle”. 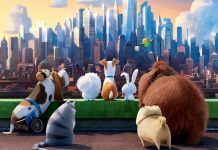 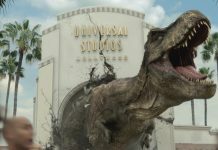 However, an announcement was publicly made just before the show began that it would be missing a handful of its effects due to safety hazards posed by the high winds in the area. 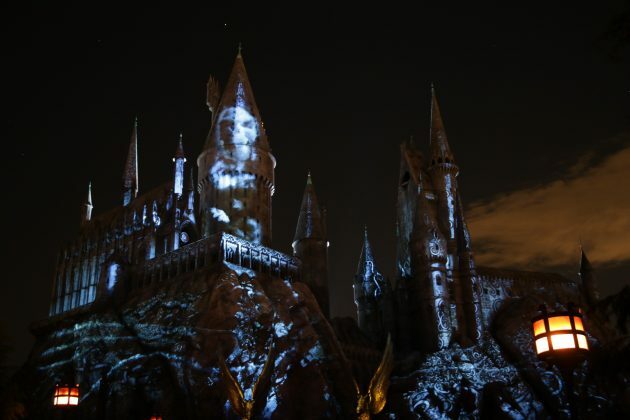 Regardless, one could hear a pin drop among the captivated crowd throughout the show so different in tone from usual light-hearted nighttime spectaculars. 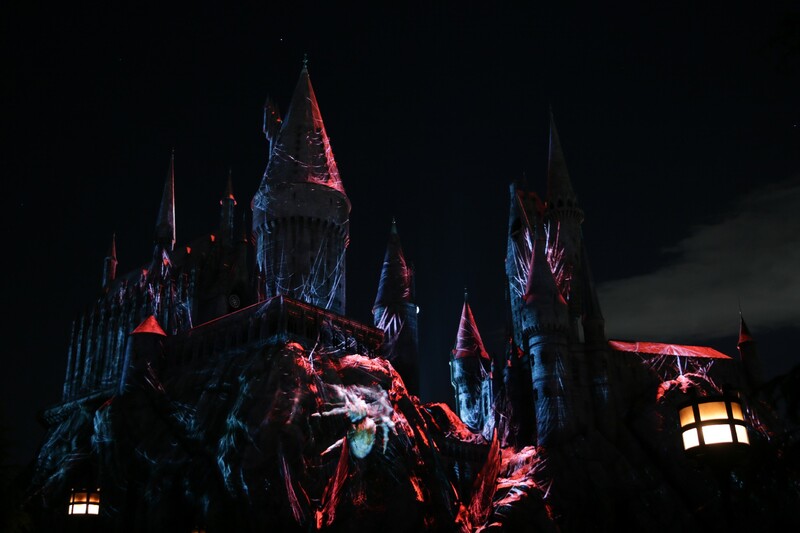 Living up to its name, “Dark Arts at Hogwarts Castle” successfully epitomizes the tense emotions surrounding the dark side of the Wizarding World with captivating imagery and visual effects that make it stand out among its predecessors. 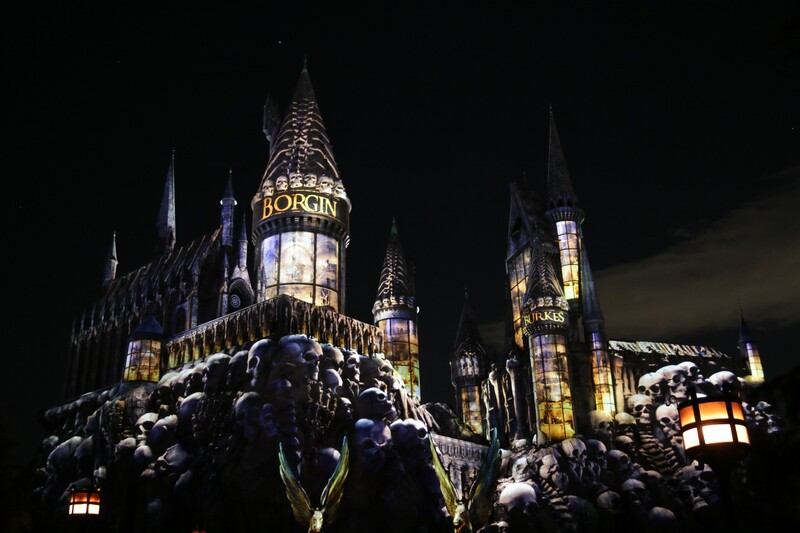 We highly recommend that guests and fans alike stick around to see this stunning show in its entirety, as it surely will run on most days. 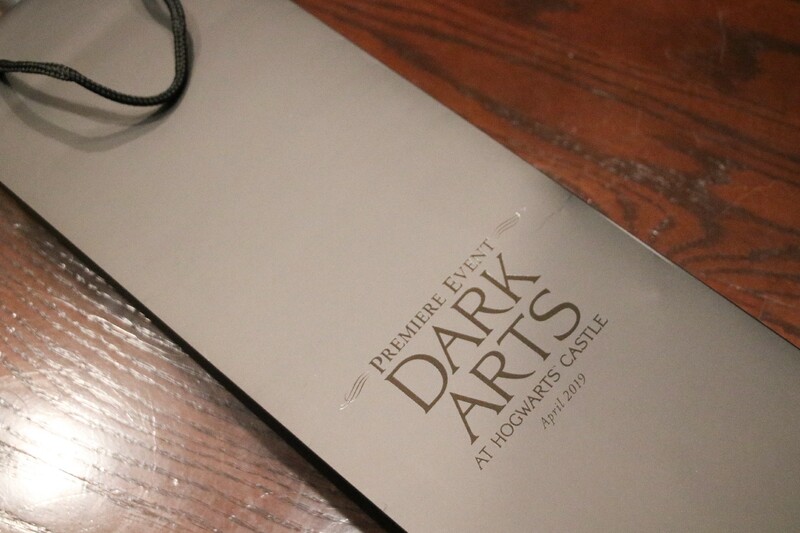 Following the final show of the night, guests were invited to continue exploring Hogsmeade until the conclusion of the event, where all were handed gift bags including some merchandise from the event. 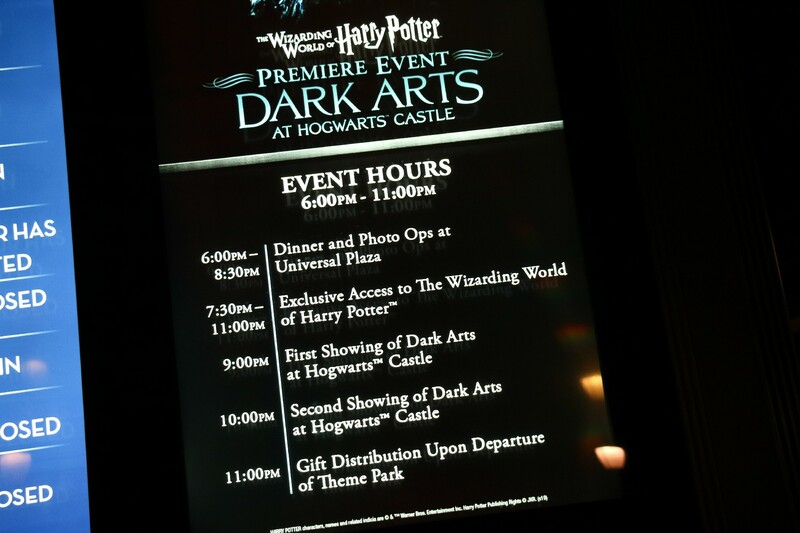 Once again, we thank Universal for their generosity in inviting us to experience the show. 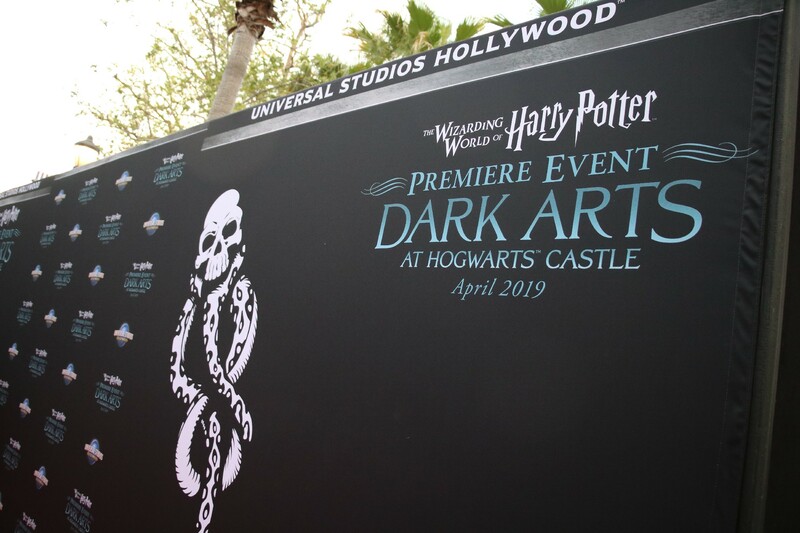 The “Dark Arts at Hogwarts Castle” Premiere Event only operates on April 11 and 12, though the show individually will run nightly from Saturday, April 13 through April 28, and then will return briefly from May 25-27.